If you have arthritis, you’re not alone. About 54 million or nearly 20 percent of Americans are living with this condition. Treating the pain is one way to improve your quality of life. However, assistive devices like door levers can help make simple tasks easier and less uncomfortable, so you can maintain your quality of life. It is a good-looking product that is easy on the hands. You can use it with other Wright Impressions Serenade products. It’ll work with just about any mortise lock. It has an adjustable backset for quick replacement. It won’t work on doors made by some manufacturers. This Wright Products door lever is an attractive item that can replace your existing doorknob easily. 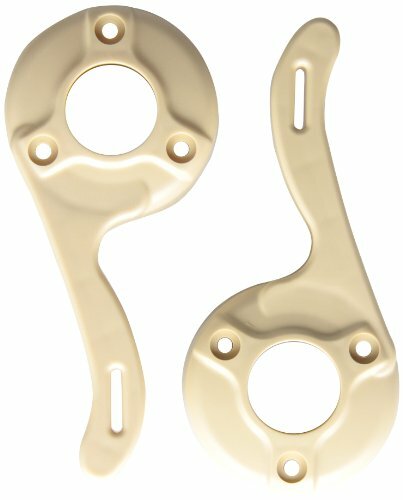 It comes in a brass or satin nickel finish which gives it the look of quality and can match the style of your home if it has a lot of metallic finishing. With your purchase, you can opt to request expert installation. However, it isn’t cheap. The installation process may not be hard to do yourself if you are handy, or you can have a loved one or caregiver install the level for you. The instructions for installation are adequate but not very easy to follow. It does come with all the hardware you need to ensure the right fit, so you shouldn’t have to buy any additional tools. The set is keyed with the lever and keyhole on a single faceplate. It’s an excellent value for the money because it’s well-made and will surely last long. If you’re aging in place and need something to last while you remain in your home, this lever is a great way to go so you know you won’t have to replace it due to wear and tear. Overall, the opening action with this lever is smooth, making it a smart choice for anyone who has arthritis. If your arthritis pain is too much to handle turning a key, however, this may not be the best option since it only comes with a keyhole. It gives you the added security of a deadbolt. You can create up to 19 passcodes. It’s pre-programmed for immediate use after you install it. It gives you a low-battery alert to keep you protected. It comes with a lifetime warranty on the finish and mechanicals with a one-year version for the electronics. The Schlage Camelot Keypad Entry with Flex-Lock and Accent Levers offers the convenience of using a keypad so that it’s easier for you to open it if you’re suffering from arthritis. Instead of struggling with a key, you’ll enter a passcode with the easy-to-use keypad buttons. You can create additional key codes as well in order to give access to caregivers or family who regularly visit. 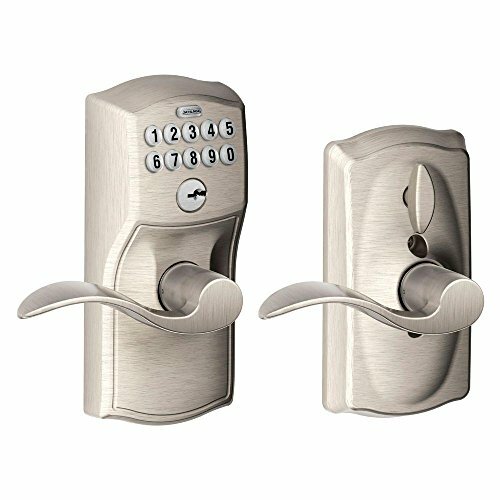 With both the lever handle and keypad, this deadbolt set completely eliminates the rotating movement that many seniors with arthritis tend to have difficulty with because of wrist pain. The deadbolt and key code option ensure heightened security, so this option could also be great for seniors who are living alone as they age in place. It is an inexpensive option for swapping out your old doorknobs. You have several choices for the type of lever you want to get. 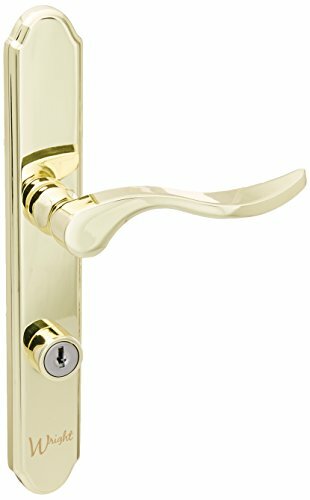 The Berlin Modisch Passage Lever Door Handle differs from the other products in that it is non-locking. You can use it on an interior door where a lever offers a convenient alternative to a knob. You can also get it in a dummy version which you may use on a pantry or closet door. It is reversible so that you can install it in the way that works best for the door you’re attaching it to. The lever is affordable, making it an excellent choice if you need to swap out a doorknob. It looks attractive and will fit in with any decor. The quality is decent despite the low price. The finish is smooth and the action works well for arthritic hands without all the bells and whistles of more expensive products. If you’re simply looking to replace your interior door knobs, this is the best option for you. Furthermore, installation of this handle is fairly easy and may not require professional help if you’re handy and have some tools available in your own home. It gives you the flexibility of the type of locking system and additional passcodes. It has an adjustable backset for quick installation. It has a three-year warranty on the electronics. It includes the 9V backup battery and two AAs. It has a keyed entry too. The manufacturer backs it up with a warranty on the electronics, mechanical parts, and finish. We picked this Schlage Camelot Keypad Entry as the best door lever with a keypad because of its value and simplicity. With this lever, you can use it right away after it’s installed without having to learn all the intricacies of programming it first. We like the option of choosing either the flex or auto-lock products. The auto-lock option will make sure your door is locked after you close it to make sure your home stays safe while you’re gone. This is a great feature, especially for seniors who might suffer from dementia or just be more forgetful and can tend to forget to lock the home. The keypad is backlit, making it easy to enter your passcode at night. The product is well-made, albeit, a bit large. When it comes to security, this model also has two preset, four-digit passcodes along with a single six-digit one, so it could be used for visitors and caregivers. It’s an excellent option if you need to secure an interior door. You can set passcodes with four to eight digits. It is versatile to fit a myriad of situations. It has an auto-lockout function after three unsuccessful attempts. Setup of additional passcodes is quick. It is not waterproof and is unsuitable for exterior use. 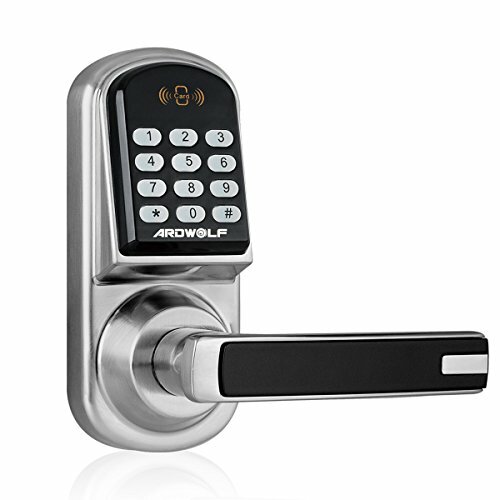 The Ardwolf Keyless Smart Door Lock is an excellent choice if you need a secured entrance for an interior door. It isn’t the best choice for outdoor use, however, since it isn’t waterproof. Since it has a reversible latch, that means it can be used for both left-handed and right-handed doors. While most levers are fit for right-handed people, this is a great option for left-handed seniors to make it even easier on them when opening doors. You have your pick of using it as a keyed lever, passcode-entry, or with MIFARE cards, which aren’t included. We like the versatility of this lock, as passcode-entry may be easier for seniors to use, but it would also be helpful for a caregiver or loved one to be able to use a key given an emergency or situation where they need to enter the house quickly. It is auto-locking and will secure the entrance within five seconds after the door is closed, aiding forgetful seniors who may not always remember to lock their doors. It also has a “Passage Mode” to bypass the keypad if you need to open and close it frequently, say if you have loved ones visiting. We liked the full digit range for passcodes for added security with combinations that are harder to break. It also has a “Lockout Mode” to disable it altogether. If you live alone, that is indeed a worthwhile option. 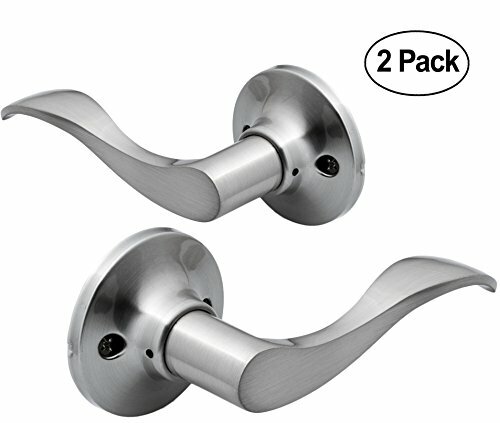 It’s an affordable way to convert existing doorknobs to levers. They are big enough to be functional. They are not as durable as we’d like. The hardware included with the handles are too long. The SP Ableware Doorknob Handle is an excellent option if you are happy with the doorknobs that you have but want the functionality of lever door handles. It won’t interfere with the keyway while giving you all the convenience of opening a door in an easy push-down method versus having to twist a doorknob and hurt your wrist. Installation of these can also be handled easily, especially if you’re aging in place on your own. You can use a screwdriver to install them quickly and easily. They may not be the most attractive productive as compared to full lever handles, but they are just as functional. The handles are made of plastic, which also limits their usage. They may not work well if you have heavier doors, and the plastic material might also wear easily and need to be replaced. If you’re aging in place in your home and need a more permanent solution to help with your arthritis, we may not suggest this product. However, it provides a great solution if you’re still looking for permanent levers or your arthritis pain has not worsened to the point where you can’t occasionally use doorknobs. Now that you’ve learned about your options let’s move on to discussing some of the features of these products and tips for choosing the best one for you. You will find door levers in several forms that vary in their features and price. Lever handles for front doors and entryways are the most expensive, given the fact that they are first-line security and usually come with additional features to prevent intruders. You can find them with or without deadbolts, keypads, and automatic locking. On the other end of the spectrum are dummy levers, which are primarily a means to open a door without a latch, such as for a closet or cabinet. Finally, there are privacy doorknobs which give you the option to lock a door without a key. Instead, they have a turn button which provides a simple lock to prevent the lever being turned. This kind is usually easy to pick, which can be a benefit if you or someone using the room falls and needs immediate assistance from a caregiver. There are also levers that fit around doorknobs so you can make your doorways easier to open without needing to worry about installation. You will find door levers in several forms which vary in their features and, of course, price. 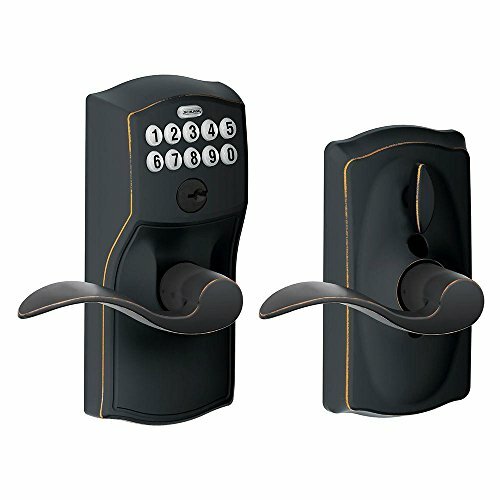 You’ll find entry door levers that use keys only, keypads with the option of a key, or smart devices that use a variety of remote technologies. These technologies may include voice or knock activation, smartphone recognition, or MIFARE cards. Many use a combination of options for added convenience. Keypads have a distinct advantage as that you can often set multiple passcodes. If you have a nurse who regularly visits you, it offers a benefit to both you and the individual, particularly if you are bedridden or have a mobility issue. The buttons are also usually much easier to use for seniors with arthritis, especially compared to the motion required for turning a key. The keypads may cost more, but their ease of use makes them a worthwhile purchase that will pay for itself in no time. Even if you aren’t tech-savvy, the technology that goes into smart devices for your home is relatively easy to set up and use. When added into a product like a door lever, it can give you more control of the security of your home and provide priceless peace of mind. Some of the things smart levers provide include better user control. You can set permanent passcodes for your family or temporary ones for repairmen or deliveries. They typically work with a smartphone app that can show you a detailed log of whoever has accessed your home. You may also find more advanced features like the ability to unlock doors through voice control. This is a feature that could be especially helpful if you have limited mobility and need a way to let people into your home with getting up too often. The value of these products is that the companies are continuously upgrading their security which they can then pass onto you. They may also include added functionality to give a friend or family member access to this information too. That option alone makes them priceless. Door levers provide a useful way to make it easier to open doors if your arthritis has made these tasks more painful or difficult. Depending on your age, living situation, mobility and budget, you can find the product that best fits your needs. First, assess the mobility of your hands to determine whether a lever is necessary. If turning knobs has become even the slightest bit difficult, you don’t want to wait until it’s impossible to open your doorways. Invest in levers that are also secure and provide features that may help with memory (auto locks), and poor eyesight (backlit keypads). No matter what your situation is, a door lever with the correct features will make your life easier and allow you to age in place as comfortably as possible.